You don’t need to pay the full amount now, pay just ₹ 2000 during the Flash Sale and rest later. Or choose the TravelNow-PayLater option to pay even after the trip ! 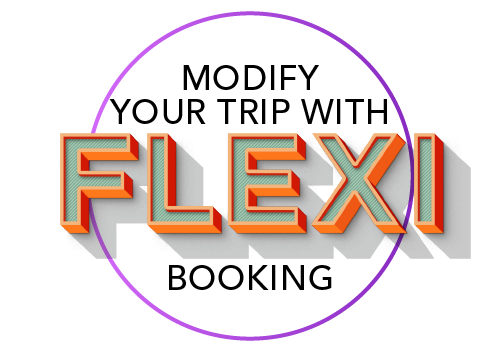 If you book during the Flash Sale you can shift your dates, change your trip type or make any other changes to your booking before your trip ! You get free exclusive branded Merchandise only when you book during the Flash Sale ! Can I Book Before / After The Flash Sale ? 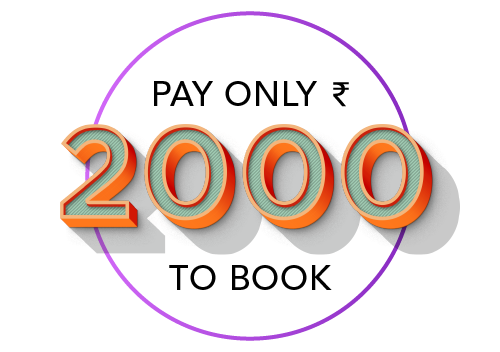 No, you can-not book before the flash sale, to avail the Flash Sale prices you have to book only during the designated 2 hours (24th Feb 1PM to 3PM Only). You can book the same trip after the flash sale is over, but the prices will be much higher, in some cases will increase by 10,000. What Is My F-Code ? F-Code is your Tripver Flash Sale activation code, it will be sent to your e-mail and mobile number before the sale. 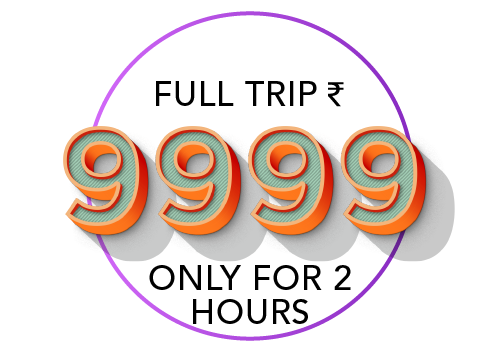 You can use this code/link to activate the sale and book the trip at the special prices by paying 2000 rupees. You will receive this link only if you have registered for the flash sale. The registration for the flash sale will end at 11:59 PM on 23rd of February (Today). NOTE : It has come to our notice that certain malicious individuals are selling Tripver FCodes to unsuspecting travelers in exchange of money. FCode registration is free of cost, and intended to be used by registered members, their friends and family ONLY. To ensure FCodes are not misused, all registered members will receive new FCodes 1 hour before the sale. Can I Change / Modify My Trip Later ? Changes have to informed minimum 20 days before the departure, a nominal fee of ₹ 599 will apply per modification. As per the Terms and Conditons, Tripver reserves the right to reject modifications to anyone who does not adhere to community ethics, falsifies communication, uses abusive behaviour with the Tripver Family and threatens to use or has used communication (including but not limited social media / public review platforms) to defame or undermine Tripver. All Above terms & conditions are absolute. All trips will have all the inclusions & exclusions clearly mentioned on the booking page at the time of the booking, since it will be different for each & every trip. However to give you a fair idea, all trips include transport from the trip itinerary starting point, all accommodation, all tours, major meals, Tripver Support, Trip Captains, Driver Allowances & a lot more. If you are planning your budget, take an expense of about 300-500 additional per day for overhead & additional expenses. When Do I Pay The balance Amount ? Can I See Accommodation Pictures ? Yes for sure ! accommodation pictures are displayed on the booking page of the relevant trip. If you you would like to see the pictures before you book you can simply message on the chatbox on this page, message us on Facebook or DM us on Instagram with the trip you are interested in and we will send you the pictures instantly ! All our accommodations including Tents are quality audited by Tripver™. Even our transit tents have attached washrooms. We never compromise on quality and hygiene standards. Can I Travel Solo ? Yes ! you can, and in-fact this is the most common question. Friends are the biggest reason for cancelled travel plans, so we have made all our trips solo traveler friendly ! because we believe if you want to explore a destination there should be nothing stopping you. This philosophy is the reason why we are one of the most preferred platforms by a large majority of solo women travelers. How Do I ask Questions ? Tripver Is Certified & Recognized By Official Tourism Boards of More Than 30 Countries Across The World.